Supply Box Sale! – Zombies, Run! We know how it is. You’ve spent all this time running for Abel Township, bringing back food and books and sports bras. Keeping people fed and clothed and entertained. But what does Runner Five get? A few words of thanks and another mission. Not any more. Now you can bring back some supplies of your own, and at a $5 discount! How do these sound? Runner 5 Sweatband to keep you cool. Reversible silicone wristband to identify you to other runners. 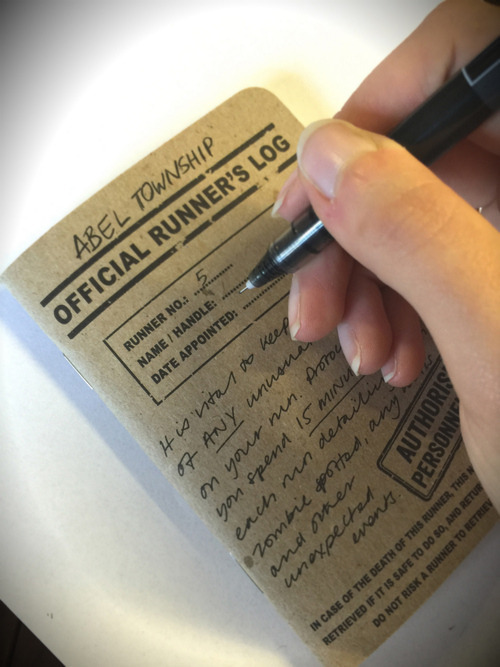 Runner 5 Run Log Notebook, complete with doodles from all your favourite Abel residents. Four high-quality supply icon fridge magnets. Tough-as-nails Radio Abel coaster, perfect for a hot cup of tea after a good run. Awesome “Abel Township” fabric patch, so you can wear your heart on your sleeve. Two gorgeous vinyl stickers: “Semper Currens” and “Radio Abel”. 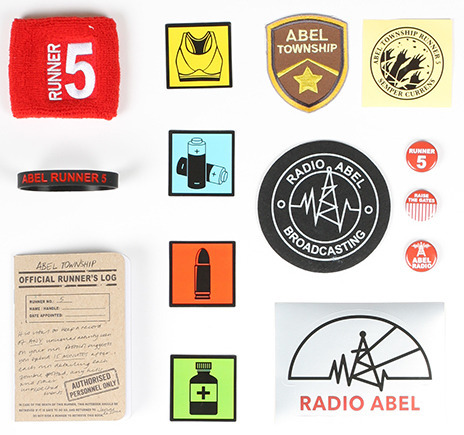 Three beautiful pin-badges: “Raise The Gates”, “Runner 5” and “Abel Radio”. We only have a few supply packs left, so head over to our shop and use the voucher code SP5 to claim your $5 discount and get some sweet, sweet supplies all for yourself!